Over the pass few weeks, I noticed that I've gain some new followers. I thought it would be fun to write a little get to know me post but do it crafty style. Meaning, that all the questions are going to be craft related (since this is a crafty blog)! Favorite craft genre (like jewelry, knitting, etc): I love the idea of recycling items from your house to use in different projects. So I guess, my favorite genre would be recycling crafts. With that being said, I think recycling doesn't have to mean cans and bottles but calenders and plastic toy animals. Favorite craft book: The Naughty Secretary Club: The Working Girl's Guide to Handmade Jewelry by Jennifer Perkins. 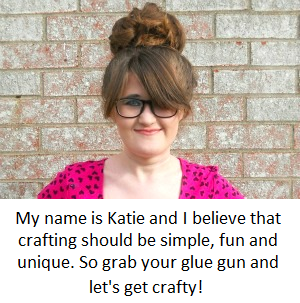 Must have craft supply: Ummm....I would have to say a hot glue gun because you can use it on almost everything. Where do you get your craft supplies? Most of the time, I either get my craft supplies from Hobby Lobby (since that is the closes craft store to to me) or my family/friends buy me/give me craft supplies for gifts. Do you snack while you craft? I don't necessarily snack while I craft but I do usually have something to drink. Right now I'm loving, Pepsi's new made with real sugar! Favorite DIY you found on Pinterest: Even though I'm a little too old for it, I just love this DIY Nessie stuff animal. Its just so cute! Crafting Pet Peeve: When something goes wrong with your E6000 glue bottle and you can't get the rest of the glue out without sacrificing the whole thing. Favorite craft magazine(s): My two favorite magazines are Flea Market Style and Mollie Makes. Flea Market Style is not really a craft magazine but more of a home decor magazine. What I love about the magazine is the articles and simple projects which usually include using recycle materials. For example, turning old vintage suitcases into shelve or game pieces into office supplies. Mollie Makes on the other hand, is more of a craft magazine. 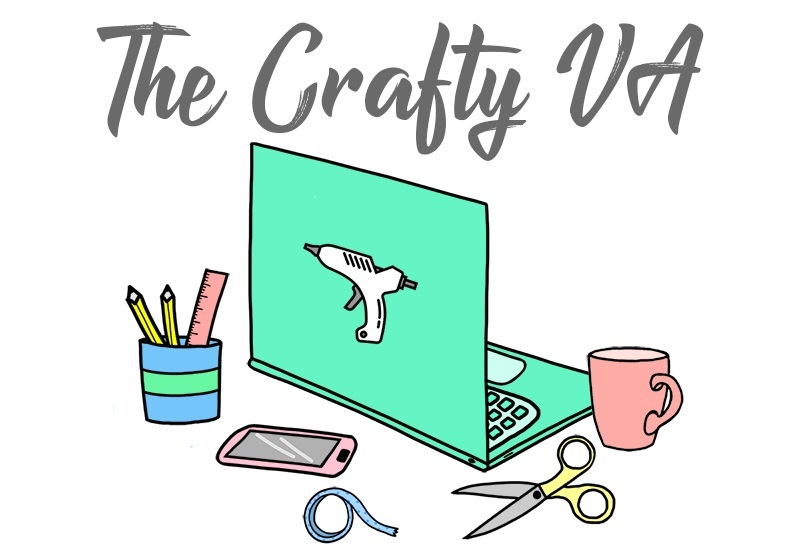 They have tons of articles ranging from handmade businesses, crafting and just living a crafty lifestyle. There photography in the magazine is also to die for. Do you listen to music while you craft? If so, then what? I love listening to music while I craft! Depending on my mood and what I'm currently working on, will sort of dictate what I'll listen to. For example, if I'm painting I'll listen to James Blunt, if I'm doing Christmas crafts I'll break out the Christmas CDs and so on. Currently, I've been on a Olivia Newton John/Sara Evans/Carly Rae Jepsen kick (which probably sounds like a weird combination). My music taste is all over the place. Choose your gluey weapon, hot glue gun, Mod Podge or E6000: Hot Glue Gun, duh! Favorite DIY blog(s) you like to read: A few of the ones that I check on a daily basis are Punk Projects, One Sheepish Girl, Mr.Kate and Nest. Craft genre or project you would like to try: I would love to make this DIY Craft Storage House. Number 1 craft tip: Since I do love to use a hot glue gun, my tip is to use a blow dryer to get rid of all those hot glue gun strings. So those are just a few crafty things about myself. 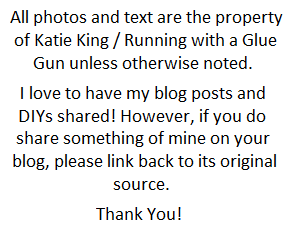 If you answer the questions on your blog, leave a comment below so I can check them out! I love 80's music! On Pandora I have a station call 80's Pop Radio which is sooo good. The film scores would also be fun to listen too. Personally, I need to find a Pandora station for musicals because I'm always looking up certain musical song on YouTube.